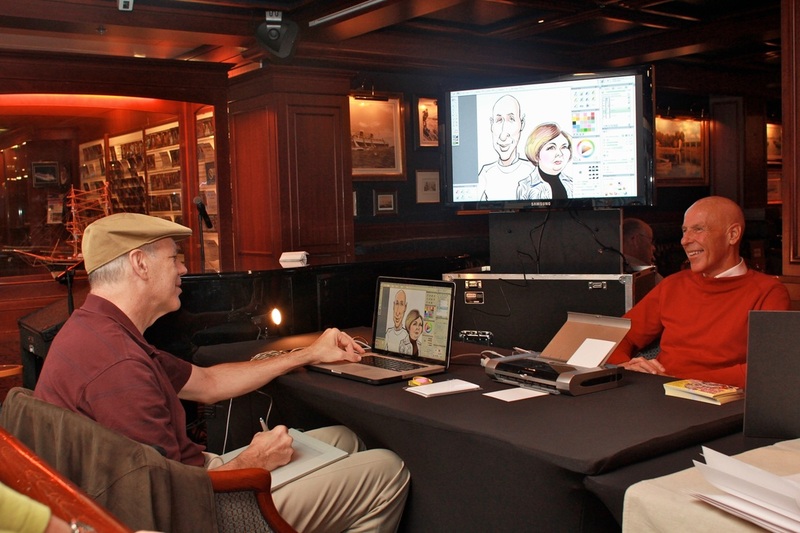 Digital Caricatures will mirror our laptop to any monitor device so many can see the artist in action! Fast printing of caricatures... includes your association's logo, date, etc. In most cases we charge NO TRAVEL FEES in the U.S. 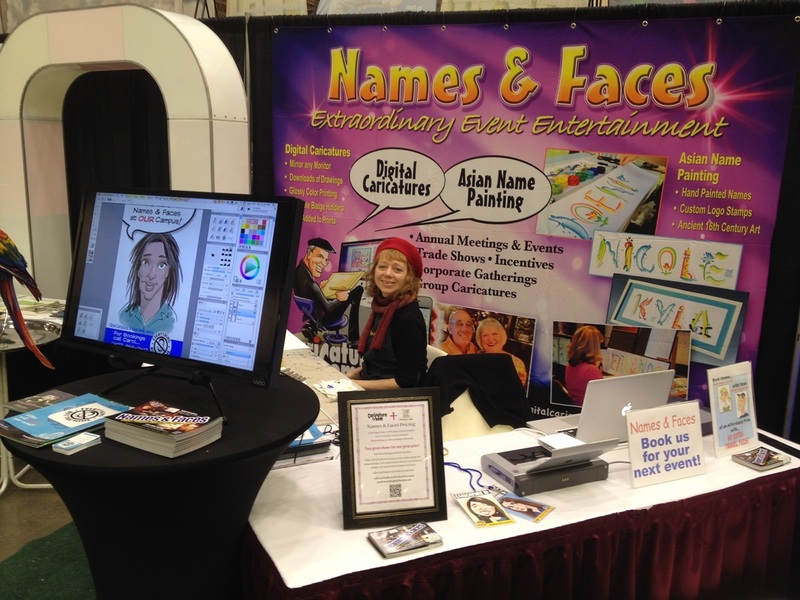 Whether it be an annual conference, trade show, dinner banquet, near registration, spouse program or in the hospitality suite, Caricature.com and Pippiart.com will blend in seamlessly with all your venues. Attendees will have a keepsake that they will always cherish. Many associations arrange sponsors to have Names & Faces at the week's activities. And we brand all our work with the sponsor's logo! and traditionally, side by side. Your guests will be thrilled and you save money (not to mention we don't add ANY transportation costs). To the right is an example of a happy recipient of Asian Name Painting. 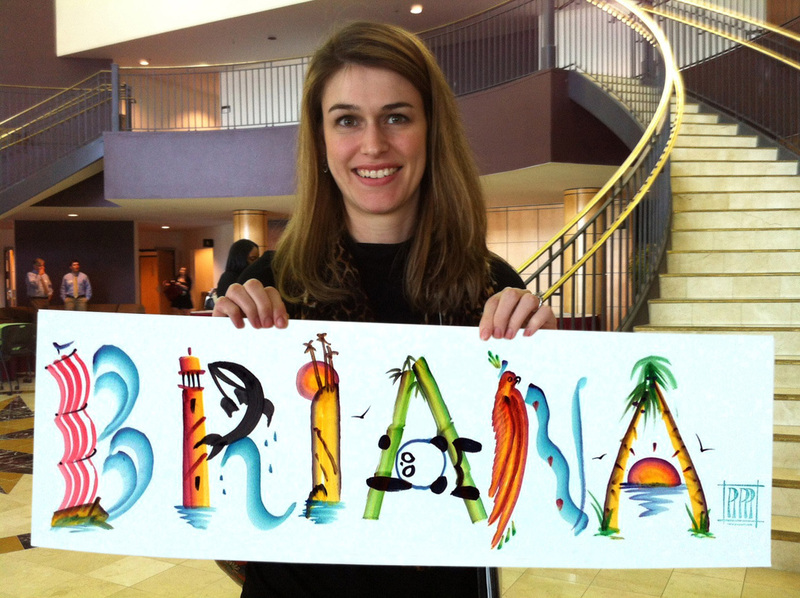 Each "name" is hand painted in just a few minutes in acrylic with special custom brushes we make ourselves. This is an ancient Korean art from the 16th century and now we've brought it to the corporate market for all to enjoy.